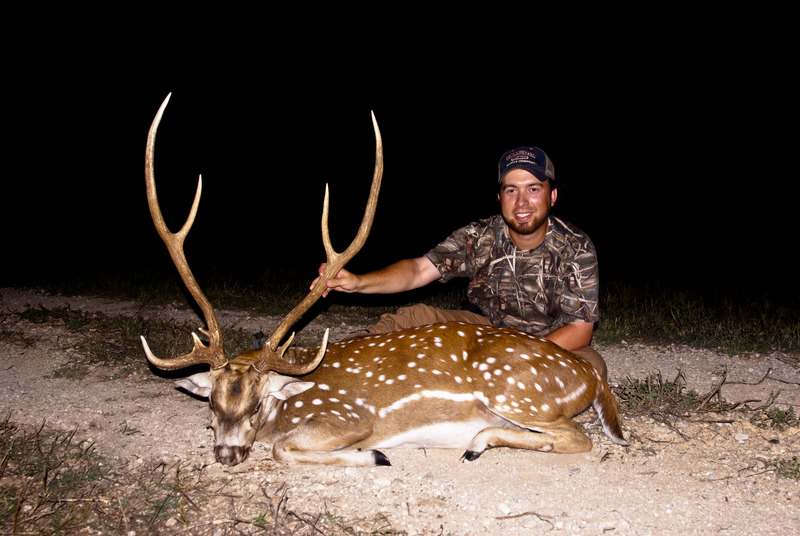 Trophy axis deer hunts can be conducted all year, but the best time of year is from May to November. 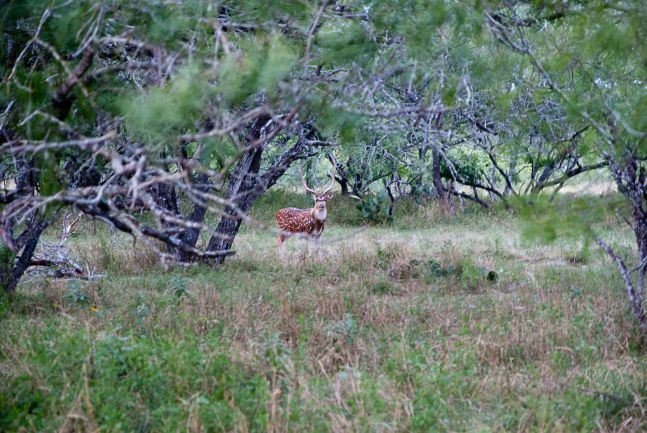 Be prepared for warm weather hunting when you hunt axis deer. 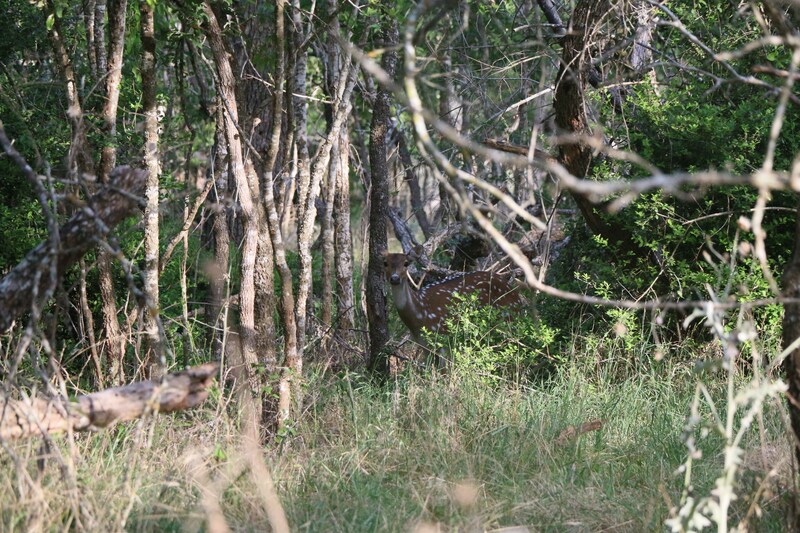 Our bow hunts for axis deer are conducted from ground blinds with room for two people in the blinds. 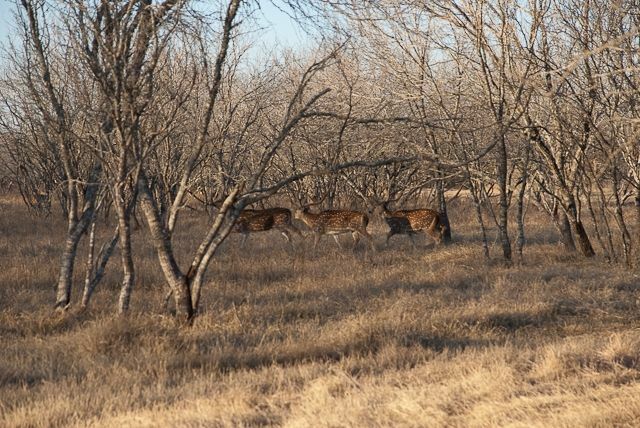 It is preferred that the hunters have dark camo from the waste up when hunting from our ground blinds. Our bow shots are anywhere from 15 to 40 yards with feeders at about 20-25 yards. In the summer months we may hunt over water and shots can extend 40 yards and beyond. 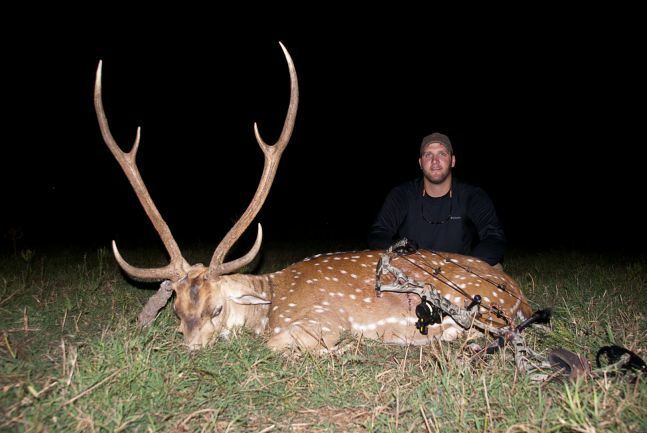 The size of our bucks typically range from 30″-36″ beam length with inside width from 24″-28″. 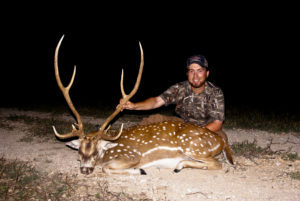 Vitals on an axis buck are farther forward and lower than a whitetail deer. 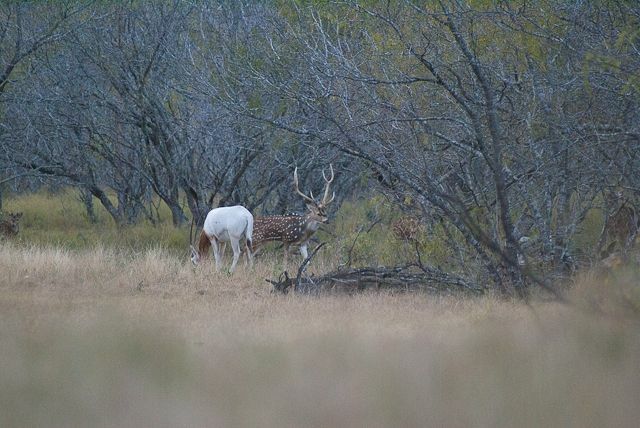 Body weight of a mature, 6 year old axis buck can be around 230-250 lbs. Axis does will weigh from 115 to 140 lbs. 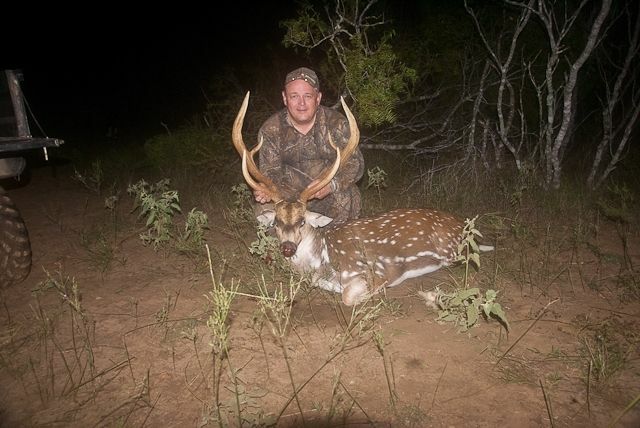 Trophy Axis – $2500; Trophy axis are usually 30″ and up.